In addition, ATS Tonga, facilitates full border control requirements, all airport landing and parking charges, fuel supply and all other facilitation required of scheduled and non-scheduled carriers. 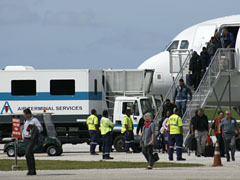 ATS Tonga is well resourced and has the ability to assist in general maintenance of aircraft. We can support you with parking bays and hangar usage. With regular commercial flights arriving from Sydney and Auckland, you also have easy access to courier and freight services. ATS Tonga is able to assist in the loading and unloading of cargo including assistance and guidance with security, customs and duty processing. 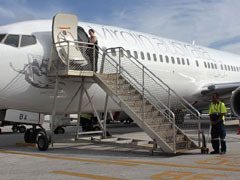 We are able to handle delicate, high-value cargo with efficiency, care and timeliness. We can also assist in the movement of items that require phytosanitary or biosecurity clearance.